I.C. Medical manufactures the world’s most advanced surgical smoke collection and evacuation devices. The Crystal Vision surgical smoke evacuator employs a unique design that pulls air through a narrow opening at very high speeds causing the air to spin and form a powerful air vortex around the ESU blade. Smoke particles expelled from the surgical site in any direction are captured in the air barrier created by the vortex before they escape. Thus, instead of trying to catch and pull back particles that are traveling away from the smoke nozzle, I.C. Medical’s unique system design enables surgeons to create an invisible barrier through which smoke particles cannot escape into the operating room. I.C. Medical’s Crystal Vision smoke evacuator has a capture velocity of between 1,400 and 1,700 feet per minute and the pencil’s nozzle creates suction pressure up to five times greater than other smoke evacuators. The Crystal Vision works with all surgical cutting devices found in operating rooms, including harmonic scalpel, monopolar, bipolar. The unit works with a remote activator. The Crystal Vision smoke evacuation system automatically alerts OR staff when the ULPA filter is not capturing plume at 100% and needs to be changed. Other manufacturers rely on a timing mechanism to estimate when the filter should be changed. One of the important features that differentiates the Crystal Vision from all other smoke evacuators is its reliable brushless motor. 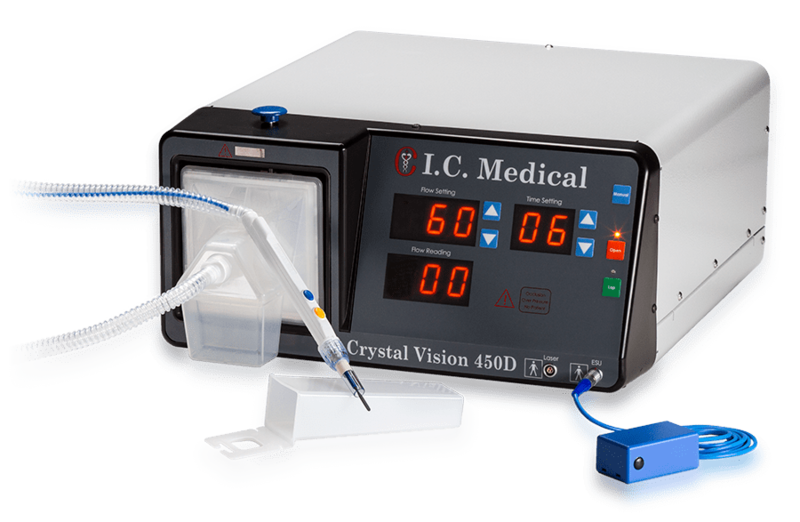 The Crystal Vision’s exclusive design features a high quality rotary vein pump motor that lasts four times as long as ordinary brush motors. Most smoke evacuators on the market are made with inexpensive brush motors. The brushes wear down in a period of less than five years. It is then necessary to purchase a new smoke evacuator. With routine maintenance, the Crystal Vision surgical smoke evacuation system will last 20+ years. 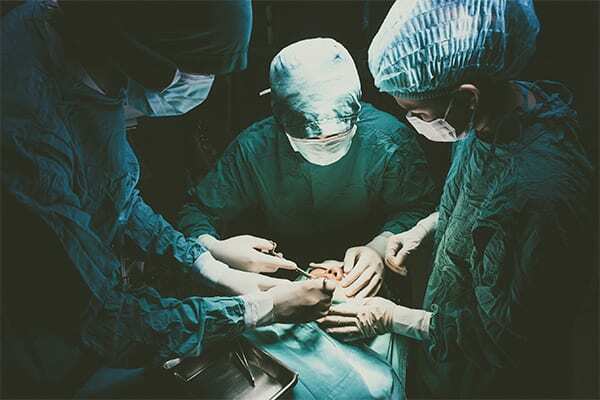 Brush motors create much more noise than brushless motors because the brushes that rub against the rotor creating friction and sparks that can cause interference with other devices in the operating room by means of electromagnetic energy. I.C. 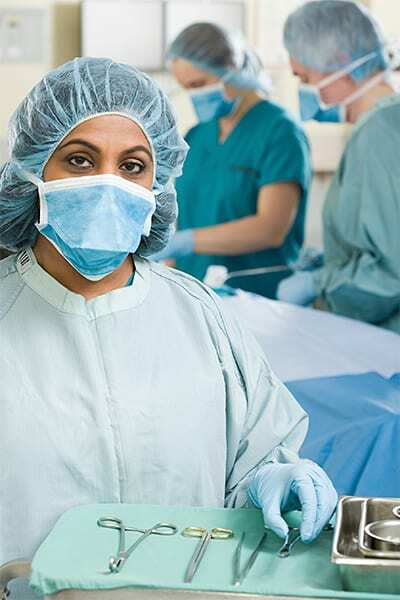 Medical’s patented Crystal Vision surgical smoke evacuator is the only surgical smoke evacuation device with both laparoscopic and open procedure modes. In laparoscopic mode, the Crystal Vision monitors pneumoperitoneal pressure and activates the pump when a preset pressure is exceeded, helping reduce the potential of an air embolism. For open procedures, the Crystal Vision pump has the highest suction power of any plume evacuator. This enables the highest flow at the nozzle leading to more efficient, effective smoke evacuation. Crystal Vision’s occlusion detection feature detects trapped tissue in both open and closed procedures, minimizing trauma to the tissue. Crystal Vision smoke evacuation systems offer these unique advantages during laparoscopic procedures. A patented automatic built-in valve that allows for hands-free smoke evacuation. Pneumoperitoneal pressure is continuously monitored and the Crystal Vision automatically starts pumping to lower potentially dangerous pressure levels. Crystal Vision has a unique low flow range that is easily adjusted to match the in-flow rate of the insufflator. This feature helps maintain pneumoperitoneal pressure and allows the surgeon to concentrate fully on the procedure. If the intra-abdominal pressure reaches 27 mmHg the unit will alarm, and if the intra-abdominal pressure reaches 30 mmHg, the unit will automatically activate reducing the pressure in the abdomen to a point below 27 mmHg. This protects the patient from runaway insufflation and embolism. The Crystal Vision evacuator pump stops automatically if tissue is accidentally suctioned, thus minimizing the potential for trauma to the tissue. Crystal Vision’s advanced technology does not allow surgical plume to flow back into the patient. Therefore, clean CO2 gas is used to maintain the pneumoperitoneum. At the end of the procedure, OR staff can use the smoke evacuator to deflate the patient. By removing the CO2 gas in this way, the patient’s body does not absorb excess gas residue. This reduces and in some cases eliminates the painful joint aches that result from pushing on the abdomen to remove the gas and helps reduce post-operational recovery time and shoulder pain in patients. These features differentiate I.C. 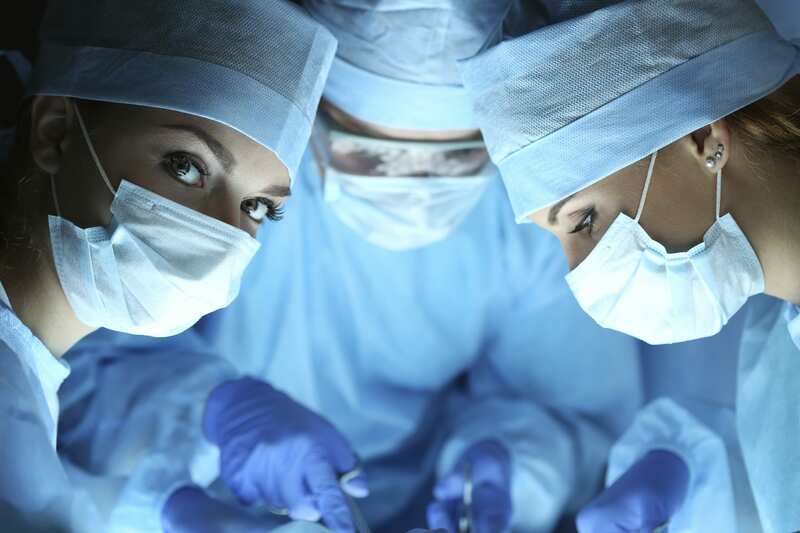 Medical’s products and take leading edge technology into the operating room to create a safer, cost effective, and efficient environment.